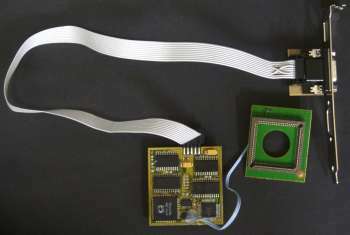 The Flicker Magic is a flicker fixer and scandoubler which is designed to be installed in an A1200 or A4000. 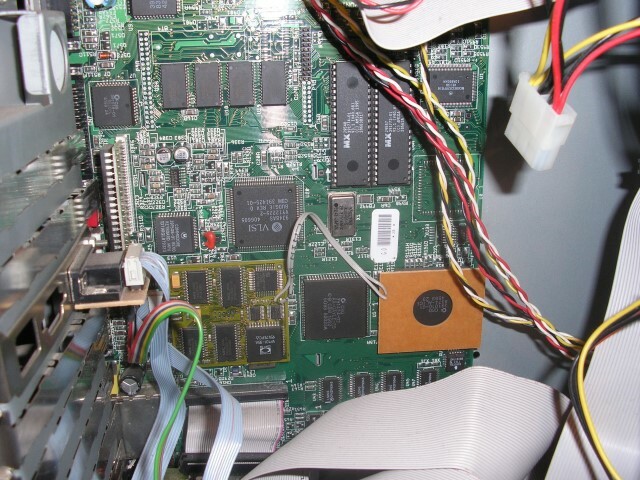 There are two versions of this device, both have a main board which clips onto the LISA chip and one version has a second board which clips onto the Alice Chip and the other version externally connects to the 23-pin VIDEO port. 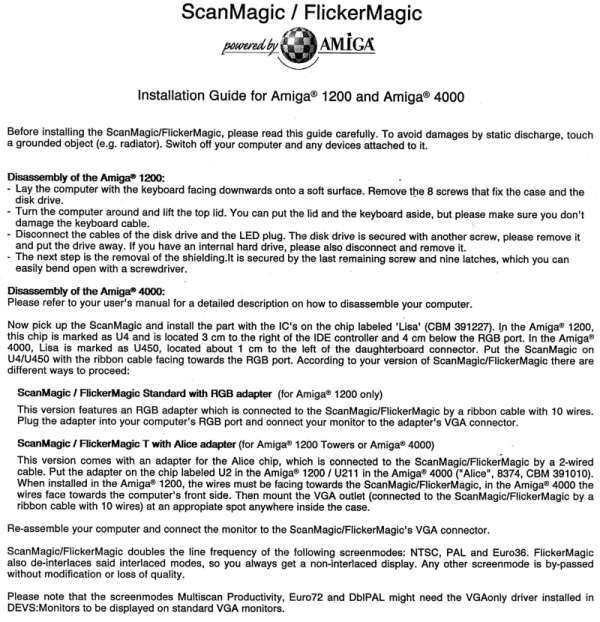 The Flicker Magic is very similar to the Scan Magic, except the Scan Magic does not perform flicker fixing.